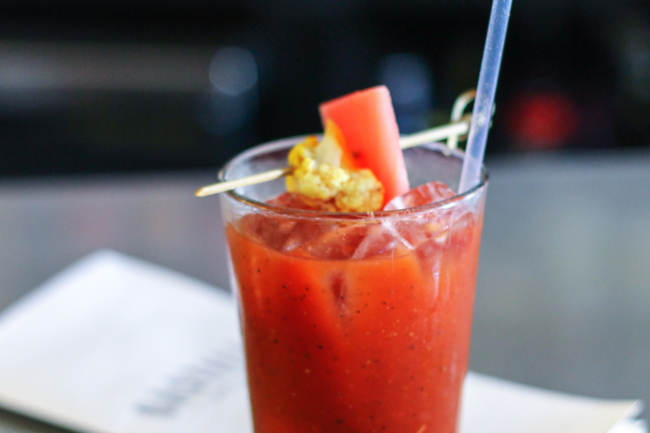 For some reason, I walked into Bastille expecting a really terrible, poorly made, unimpressive bloody mary. So I was pleasantly surprised when an ultra-fresh, acidic tomato juice jolted my taste buds into action. Cracked black pepper and a zangy hit of lemon beat me with the flavor of a thousand brunches, while a quiet, sneaky heat eradicated any lingering doubt. In fact, all of my unfounded skepticism was promptly replaced with pure, unadulterated day-drinking joy.